Supermarket News recently reported about the benefits of coconut oil in an article titled, “Whole Health: Oiled Up.” Check out all of the great things they had to say about coconut oil! “First there was olive oil, which grew to become a kitchen staple prized for its rich flavor and health benefits. As that category has matured, shoppers’ tastes have migrated to a variety of plant and seed-based oils like hemp, coconut, avocado and flaxseed, among others. Each offers a unique profile in terms of nutrition, taste and application. Some thrive in the saucepan, while others are better for drizzling atop a salad or a bowl of yogurt. No matter how they’re doled out, its clear culinary oils have come a long way from the deep fryer. 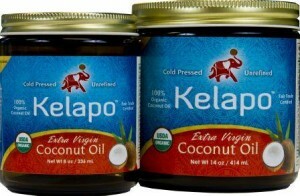 The rising star lately has been coconut oil, which used to be a nutritional villain due to its saturated fat content. Recent studies have shown that the unrefined fats contained in coconut oil may actually be beneficial, and high-profile endorsements from the likes of Dr. Oz have spurred mainstream interest. These days, consumers use it as a cooking oil, a supplement and even as a lotion. Retailers like Whole Foods Market are seeing double-digit growth as a result.